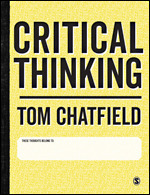 Tom Chatfield is the big brain behind Critical Thinking, our colourful, creative and accessible guide for students at university just starting to think critically about their work and the world around them. To help you get to know Tom better we quizzed him on his critical thinking know-how, plus we've got a preview of that great Critical Thinking book and a video interview with the man himself. Critical thinking means learning to think twice about the evidence in front of your eyes and to ask what is really going on in the world. What makes critical thinking so important today? If you look at being a student today, you are confronted with almost infinite information on screen. You are bombarded with feeds, fake news, opportunities; how do you engage with this? For me, critical thinking is one of the key skills for coping with an information age, and also for what makes people skilled, unique and valuable in an era of disruption, automation and tidal waves of possibilities sweeping away much that used to be certain. How does critical thinking help students? If you’re improving critical thinking as a student, you are becoming a more discerning consumer of information. You’re becoming better at differentiating between good and bad sources. You’re becoming better at the fundamentals of making arguments, coming up with explanations and asking what it means to research a subject. It also addresses how you can express your own ideas and take away something of value that belongs to you, rather than just parroting other people’s words and desperately trying to make your way through endless reading. What problems will this book solve for lecturers? More and more people are coming into education with higher and higher expectations. A lot of students feel overwhelmed: they feel that so much is expected of them and yet they are not confident in the basics of researching, of engaging with ideas, of being autonomous learners. What I hope this book offers to lecturers, above all, is something they can rely upon to give students of all types more confidence and competence as autonomous thinkers and researchers. So the lecturer can get on with teaching, and be confident that students will go with them on that journey rather than getting left behind. 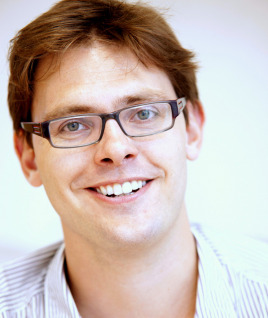 Tom Chatfield is a writer, broadcaster and tech philosopher. He’s interested in improving our experiences of digital technology, and better understanding its use through critical thought. His six books exploring digital culture have appeared in over two dozen countries and languages. Tom also creates and designs content for games, apps and interactive media, and speaks around the world on technology, the arts and media (appearances include TED Global and authors@Google). A columnist for BBC Future, Tom writes and commentates in the international media (including BBC Two Newsnight, Radio 4 and ABC), as well as guest lecturing at universities in the UK and Europe. When not working, he plays jazz piano and drinks too much coffee.